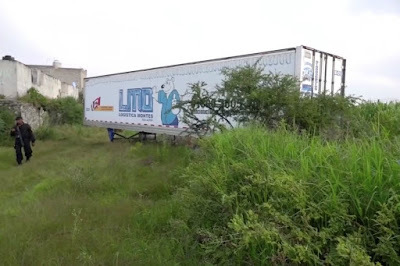 Overcrowding at morgues in Jalisco led authorities to store 157 unidentified bodies in a refrigerated truck near the city of Guadalajara. 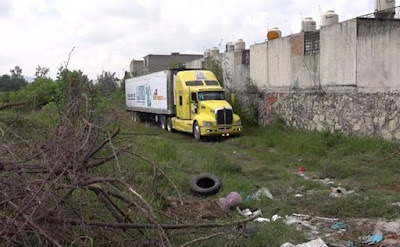 Neighbors' complaints about the truck caused authorities to change its location several times. It went from a morgue parking lot to another government-run lot, before it finally wound up in a field behind a housing development. Neighbors of the area denounced the discovery twelve hours after the vehicle was abandoned due to the strong odors emanating from it. While refrigeration slows decomposition, many corpses are already rotting. 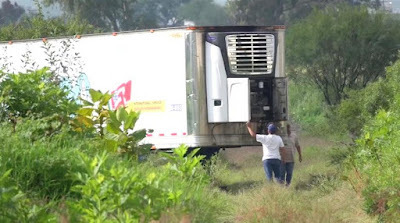 Hours later the truck was moved to an industrial area of ​​the municipality of Guadalajara. State and local authorities have struggled as bodies pile up from Mexico's rising tide of violence. Morgues in several states have run out of room for new arrivals. 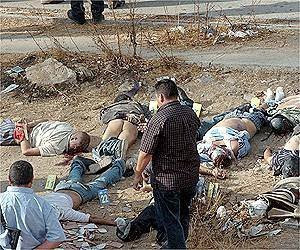 In Jalisco, "the physical space to keep the bodies of the dead has been outstripped ... given that every day they are finding bodies in different places, in clandestine graves, shot dead in the street, etcetera."